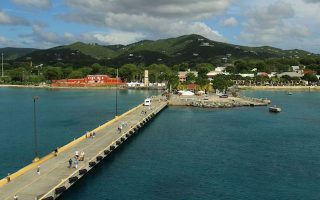 Beautiful and somewhat hilly and rugged, the popular vacation spot of Saint Croix is the largest of the U.S. Virgin Islands and is the official easternmost point of the United States. 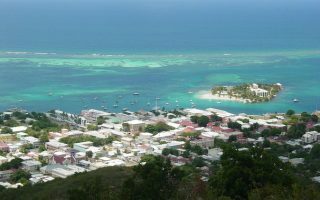 Frederiksted is on the western side of the island, which tends to be lusher and wetter, while Christiansted is on the eastern side of the island, which tends to be drier and hillier. 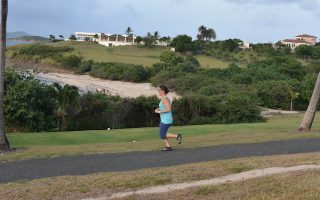 While running in St. Croix might be a preferred activity owing to the island’s great weather and scenery, you have to ‘find your spot’, owing to the narrow roads and lack of multi-use paths. The best places to run on St. Croix include the waterfront in Frederiksted, the jogging track around the Buccaneer Golf Course, and some spots around Christiansted. 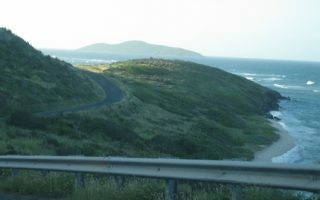 Some of the best running is on the coastal road on the eastern end of the island, including some good trail running options around Isaac Bay. 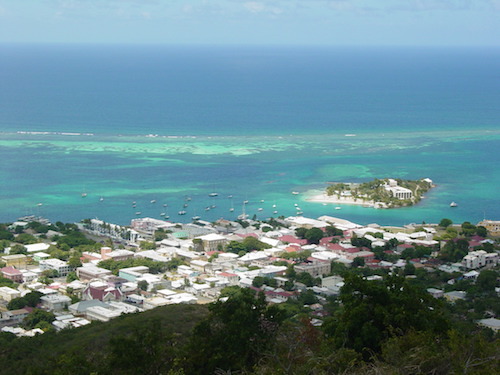 A car is helpful to get around St. Croix. The public bus service is VITRAN, and taxi buses are an inexpensive and useful way to get around. NOTE: Cars drive on the left side of the road. This being the Caribbean, weather is warm and sunny throughout the year. There is not a lot of variation from month-to-month, with high temperatures typically in the high 80s to near 90F (29-32C). Nights are warm and muggy, with temperatures staying in the low-to-mid 70s (22-25C). August through November are usually the rainiest months. Note the western side is wetter and lusher, while the eastern side gets less rainfall and has drier terrain. Champs Sports in Christiansted is your best bet for running gear on St. Croix.